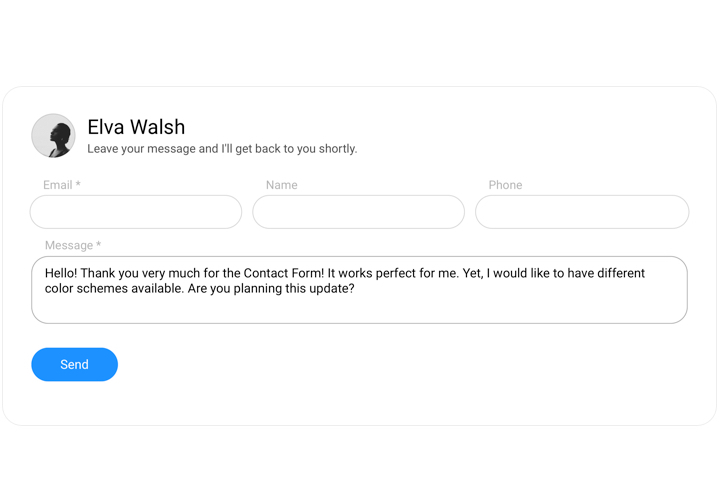 Elfsight contact form plugin for WordPress meets all your requirements about collecting customer reviews and orders from users of your site. 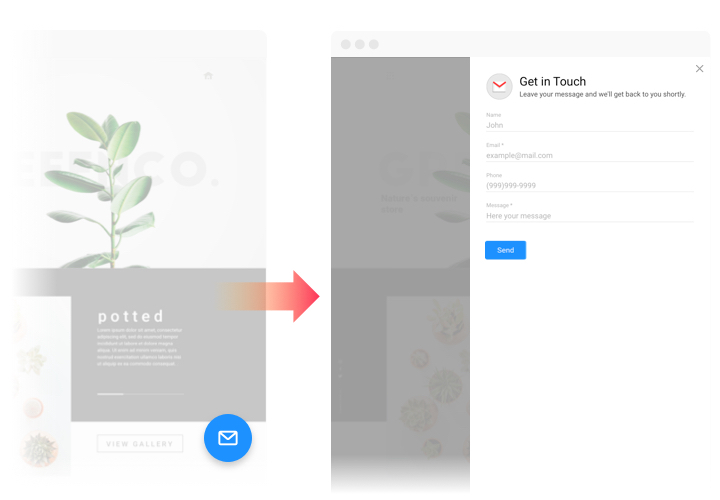 Add the fields you consider necessary, choose your perfect template and adjust the design, to inspire your customers to make orders on your site. 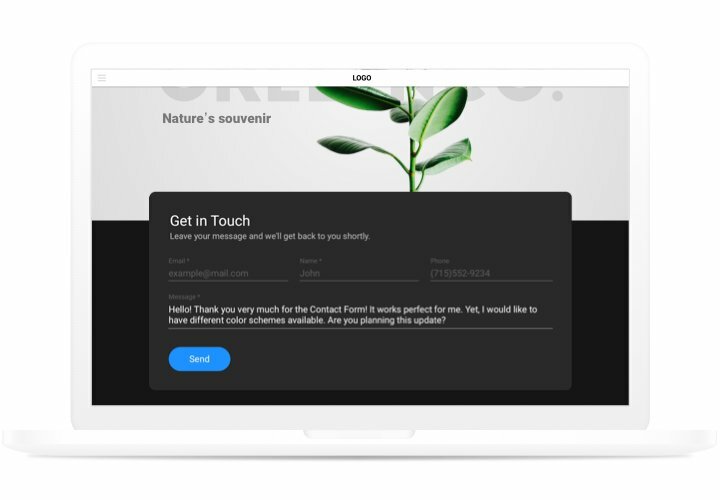 Receive feedback, get orders and write answers to questions of your website visitors! Uplift the quantity of requests from the website. Resolve the most important doubts and disbelieves of your users, and don’t let them leave the site. Use our effective product for shaping fruitful interaction with customers. Questions, misconceptions, and different opinions of your clients about your products or services give you information to analyze the requirements of your website visitors and come up with a concept of potential growth of your business. 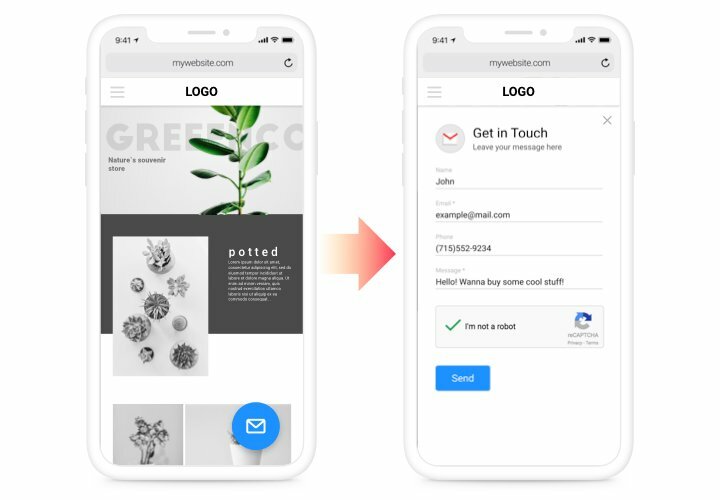 Using convenient templates, adaptive interface and individual «Thank You» notifications, you will show to your customers how you value their feedback. 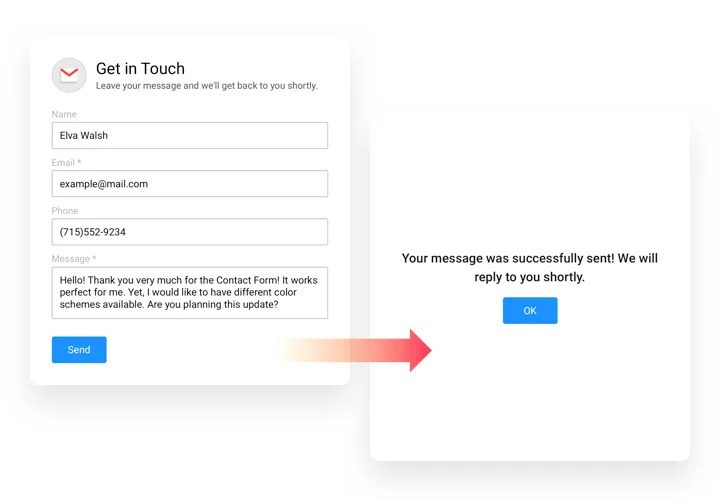 Follow an instruction by Elfsight, to integrate your contact plugin into your site. No need to have competence in programming and spend much time – it will take less than 70 seconds. On the plugin page, click «Add to Cart», to purchase the plugin. After that, enter the administrator panel of WordPress website and on «Plugins» tab, add the plugin to the required place. Variate settings of your Contact plugin to your needs, then copy the code for placing the plugin to the site. Find the page where to install the form and put the plugin code there. Save all the edits. Visit website to view your app! Having any troubles while following the manual or setting up your form? 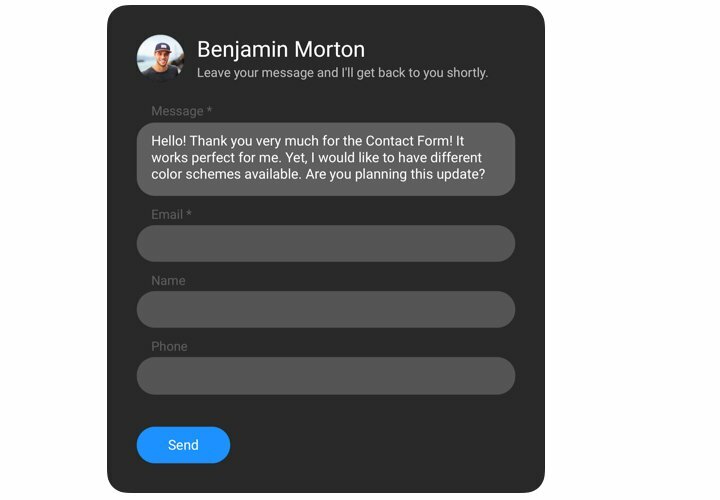 Study an extensive tutorial «How to add Contact Form into a WordPress website» and try to install it once again yourself or write to Elfsight support team, giving a full explanation of your problem. Our team will do their best to advise you. Test WordPress Contact Form absolutely free!